Ballet Exercises - Become A Pirouette Expert! It is very beneficial to be secure on the basics before you start the more advanced steps, so I am glad to hear you are breaking down pirouettes. Even though you are having trouble now, these basics are a great foundation for multiple turns. Remember, when you come to double pirouettes it is exactly the same feeling as the single pirouettes - the same shape, posture and balance. Often, when dancers begin to practice more turns they alter the shape in attempt to tackle more turns. But don't change anything, all you are doing is adding en extra head spot. Also balance in retire and visualise yourself turning in a pirouette so that you can feel the right muscles enagaging. Always go back to the basics of a pirouette when you start having problems and always keep the shape of turn. Your arms should be in a secure first position, your supporting leg on the highest demi-pointe and the lifted leg glued to a retire. One last tip is to always keep lifted whilst you are turning. Keep growing up and up and imagine yourself growing taller. Keep practicing and you will find you way of turning. 1.how can i keep my line while doing pirouettes any tips? - Focus on maintaining the shape in the pirouette. - Have a strong first position in the arms, a placed retire on the knee and a firm supporting leg. - Visualise the shape and engage the muscles with a strong core center. - Try balancing in the pirouette position and concentrate on finding the shape in the muscles. - Focus on activating the glutes (bottom muscles) and the whole of the leg to sustain turn out for the 5th position. - Feel your two feet grounded in the floor in the 5th position to have more stability. - Use your core stability (abdominal muscles) to keep on balance and lock the fifth position. Fouette turns are a challenging move which even professional dancers are often constantly trying to get better. Fouette turns will take time to improve, you need enough strength and stability in your muscles to be secure during the turns. If you are struggling with the turns at the moment, it is just as beneficial to keep praciting single releves on the spot without the turn to build the strength on the supporting leg. You will find your releve will gradually get stronger so when you begin to do more turns you will feel more stable. I suggest you build the strength to do the turns on demi-pointe first and once you have grasped this you can then work to do them on pointe too. Take one step at a time and keep practicing those releves to get extra strong. 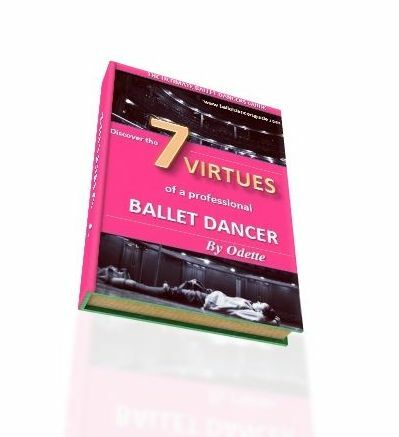 Thank you Odette for your advice it is very helpful I start ballet in Sep. I will keep on practicing!